Due to so many requests for this DIVINE celebration cake, I have now made it available for orders. 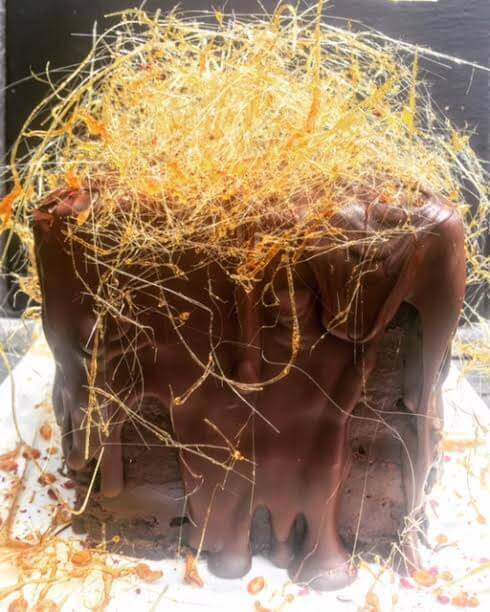 This is the most decadently rich and indulgent dark chocolate cake, smothered in chocolate ganache and topped with spun toffee and almonds. This cake is dense and intense it will feed between 40-60 people depending on your portion sizes, making it perfect for celebrations and an indulgent treat. Left overs freeze well – if there ever is any. I do prefer not to courier this cake as it needs care during transportation. Pick up or delivery options only, 72 hours notice is required for creation. 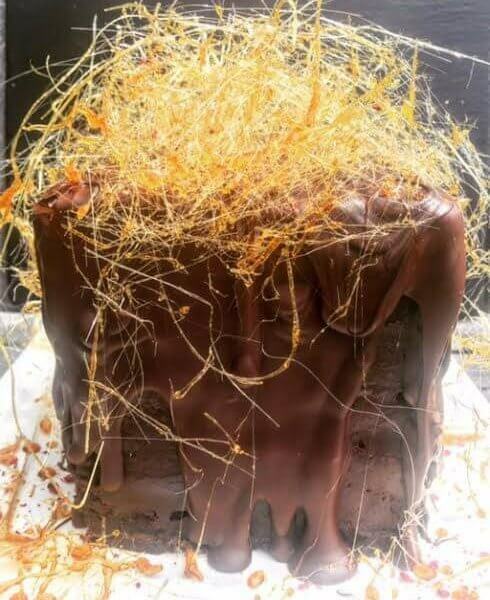 I also have DIVINE heaven bites available which you will find at http://adivinedish.co.nz/product/create-your-own/ as a smaller portion of this cake.